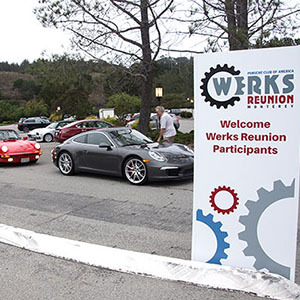 Welcome to the website for the Monterey Bay Region of the Porsche Club of America (Zone 7)! We have a large and active membership that enjoys the beautiful hills and coastline of Monterey County. Zone 7 consists of ten regions in Northern California and Nevada, all of whom actively participate in Zone 7 activities. Some of these activities can be found on the Zone website. When you join PCA, you either join or are assigned to a region. Northern California and Nevada are part of Zone 7 and its activities. Because of the relatively dense population base in Zone 7, activities in one region are generally open to all members and most are readily accessible. Regions also offer dual membership, so you can maintain membership in your home region and also join an adjacent region for a nominal fee in order to participate more fully in their activities. Just ask! The motto of PCA is “it’s not just the cars, it’s the people”. Dinner meetings and other social gatherings allow us to enjoy the camaraderie of others who share our passion for the marque. Northern California and Nevada offer some of the best Porsche roads in the country. Driving tours offer a chance to enjoy these roads with fellow PCA members, where the journey is just as enjoyable as the destination. Tours can be of a few hours duration, or over a weekend. A rally can be competitive or for fun. The objective of a rally is to follow a course, usually on public roads, to the precise detail specified in the rules. Competitive rallies dictate a certain schedule for the checkpoints along the way. Points are deducted by arriving at the checkpoint either early or late. Fun rallies may include a gimmick (poker rally, regional interest). A concours is a judged event where cars are prepared to “as delivered” condition. Points are deducted from a maximum possible value based on condition and cleanliness. Various concours rules are used depending on the level of competition. Zone 7 concours rules offer different “levels” of judging to suit your particular interests. An autocross is a closed-course driving event where the objective is to complete the course in a safe manner in the shortest amount of time possible (fastest overall speed). These are held using a large open paved area with the course marked by pylons. Drivers Education events offer an opportunity to drive your Porsche at speed on a race track (i.e. Thunderhill, Laguna Seca, Buttonwillow, Sears Point), but under very controlled conditions. The emphasis is on safety and education as opposed to racing. 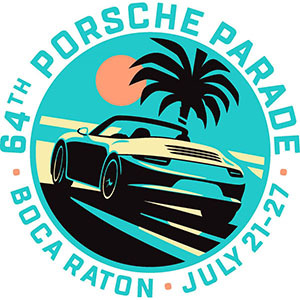 PCA Club Racing is an organized race series for Porsche owners. The rules are similar to vintage racing. See www.pca.org for more information.